The race to get humans on Mars has begun. 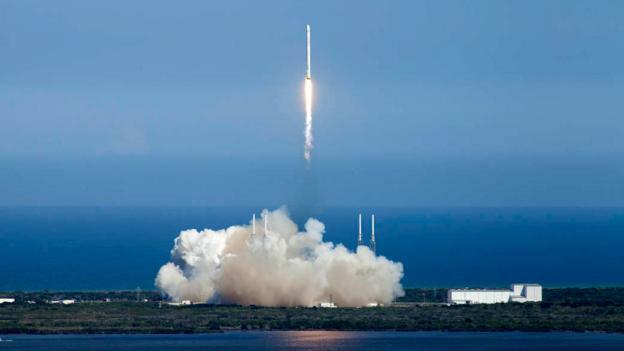 SpaceX’s Elon Musk has said he thinks he can get humans to the Red Planet by 2026. Mars One says that its crew will land on Mars just a year later, in 2027. Nasa’s timeline has humans in Mars orbit by 2033, and on the surface of the planet by 2039. The European Space Agency (Esa) is also eyeing a 2033 Mars mission, while China’s space programme is looking at putting people on Mars between 2040 and 2060. The Martian surface might start to look quite crowded. When these crews land, they’ll be representing their companies and countries. As they each build colonies and research stations and living facilities on Mars, they’ll be expected to report back to those entities. The Outer Space Treaty, passed in 1967, says that: “Outer Space, including the Moon and other celestial bodies, is not subject to national appropriation by claim of sovereignty, by means of use or occupation, or by any other means.” Which means that nations cannot claim Mars (nor can they put nuclear weapons on it). But the treaty is vague on how to handle individual companies like SpaceX. And while no one nation can claim land on Mars, they can, in theory, use Martian resources whatever they might be. The people who make their new homes on Mars may not own the land they live on, but they do have to report back to a nation or corporate entity that oversees them. That is, unless Jacob Haqq-Misra has his way. Haqq-Misra is a researcher at the Blue Marble Space Institute of Science, and he recently published an essay titled “The Transformative Value of Liberating Mars” in which he argues Mars should be totally independent from the very start. “With Mars, it seems like there’s the potential to do something different with civilisation from what we’ve already done,” he told me. The idea is simple. Instead of having the humans who land and live on Mars answer back to their home planet’s companies and institutions, they should be given total independence. To ensure this independence, Haqq-Misra outlines five provisions of liberation. First, humans who land on Mars relinquish their Earthly citizenship. They are Martians now, not Earthlings. Second, governments, companies and people on Earth cannot interfere with the politics or economics of Mars. That means no coercive trading, no economic meddling, no backdoor deals for goods or services. Third, scientific exploration of Mars can continue as long as it doesn’t interfere with whatever civilisation is developing independently. 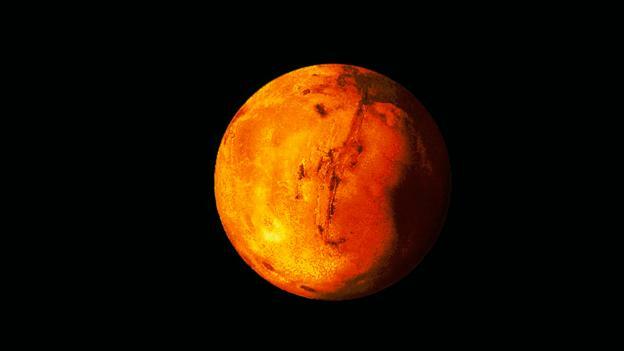 Fourth, land use on Mars must be determined by Martians. And Fifth, anything that was brought from Earth to Mars is now Martian, and Earthlings can’t ask for it back. To make this a bit more real, let’s flesh out an example from the paper. Say that SpaceX gets to Mars first with their Mars Colonial Transporter in 2027 with a crew of 15 people and a whole lot of cargo to set up a colony. If this is a liberated Mars, these 15 people agree to no longer be citizens of Earth. They are now citizens of Mars, and go about operating on Mars as an independent group with no political or economic ties to Earth. The things they brought with them, the equipment and technologies that SpaceX equipped them with, are all theirs now. If another crew arrives, from Nasa or Esa or China, the SpaceX crew would negotiate with them and them alone how the resources on Mars was shared and allocated. As more people arrive on the Red Planet, a set of laws and rules evolves as designed by Martians. And eventually, if they decide, they can chose to trade with Earth. But only on their own terms. It might seem odd for a company or country to spend billions of dollars to get to Mars, only to relinquish any control over what happens on the planet. But it’s not inconceivable, says Haqq-Misra. 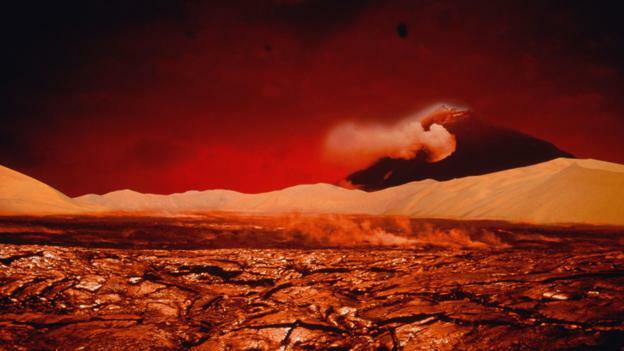 He also argues that there might be a certain kind of long-term (really long-term) thinking that makes an investment in a trip to an independent Mars worthwhile. Plus, there’s a long history of lucrative technology coming out of space programmes — light emitting diodes (LEDs), anti-icing systems for planes and portable cordless vacuum cleaners were all born in NASA’s research labs Still, even the most generous billionaires interested in going to space might question whether this particular investment is worth it. But there are certain people who really like this idea too. Haqq-Misra said he heard from several people who had applied to be Mars One astronauts. “Having an independent Martian colony seems to resonate with what the astronauts candidates like to talk about,” he says. The idea of not just being the first people on Mars, but the first people in a brand new and independent colony is appealing to people who’ve signed up for the dangerous, lengthy mission. Haqq-Misra calls this way of settling Mars “liberating,” and points out that it stands in stark contrast with the way that most colonisation goes. “By liberating Mars according to this set of provisions, the Red Planet becomes accessible to humanity for the development of a new civilisation but barred from ever being controlled by existing groups on Earth,” he writes in the paper. But he also notes that there is a whole lot of precedent for revolutions led by colonies separated from their rulers by plenty of miles. The United States rebelled from England, as did India and a whole bunch of other now-independent countries. And the distance between England and the United States is nothing compared to the distance between the United States and Mars. The idea of planetary independence crops up in science fiction all the time as well. In the 1966 novel The Moon is a Harsh Mistress, author Robert A Heinlein tells the story of one lunar colony’s uprising against Earthly rule. In fact, many of the arguments that pop up in the book come up in Haqq-Misra’s proposal – the inability for people on each planet to really understand each other, the need for freedom and agency to control your own economic outcomes. And in the book, as would be the case on Mars, it’s even more striking when most of the people living on Mars were born there. “Once you have most people on Mars who have never been to Earth, when that generation passes and nobody is a natural born Earthling, that would be a significant turning point,” he says. There are still many years before humans will put their fleshy feet down the Red Planet. And Haqq-Misra doesn’t think this single paper is going to dictate all future Mars policy. “This idea of liberating Mars that may not be enacted in the way I proposed it but really it’s designed to be thinking about what it means to be a planetary citizen.” But what he does want is for people to start thinking about what all these missions to Mars are going to be like. At the very least to keep them from having to rise up and rebel against Earth.